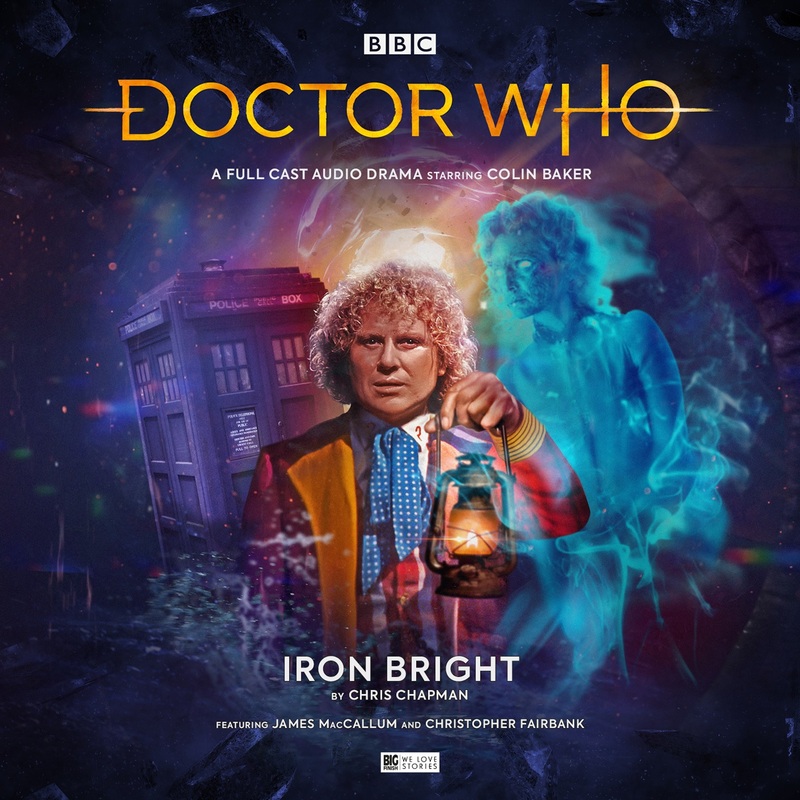 Chris Chapman’s Iron Bright is the 239th Main Range audio released by Big Finish and is the second in this year’s Colin Baker trilogy. After a rather disappointing opener in the shape of The Lure of the Nomad, my expectations were understandably lowered. I hoped Iron Bright would surprise me by turning out better than expected, but sadly that didn’t happen, although it does show a lot of promise. The story structure is one that hardly ever goes wrong. 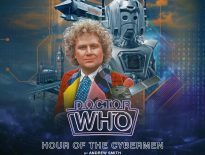 The story takes the shape of a pseudo-historical format which has lead to some of the best Doctor Who has ever had to offer (case in point: The Time Meddler); there’s arguably not a lot that can go wrong with that format, and that fact really shows in the first half. There’s some pretty great world-building and the steampunk imagery described offers an interesting backdrop to the mystery that surrounds the first two episodes. The ghoulish-looking ghosts appearing in 1820’s London and wreaking havoc plotline is really intriguing, especially when combined with the historical aspects of this release. However, this all falls apart after Part Two as the story decides to change direction and go full sci-fi. The rest of the story just turns into this unmemorable mesh of old Doctor Who tropes and uninteresting internal conflicts with outcomes that are totally predictable. A pretty terrible pay off for some great build up. The characters also happen to be really weak here. Isambard Brunel (James MacCallum) acts as the one-off companion for this story and compared to the one-off companions we had in The Lure of the Nomad, I’ve got to say, Isambard makes them look like Gods. Isambard is so whiny and disagreeable that the listener struggles to sympathise with him in any way. He also has this really poorly put together internal conflict about deciding whether or not to steal the TARDIS and it just makes it worse. His father isn’t much better either. While not whiny, Marc Brunel (Christopher Fairbank) is just as, if not more, disagreeable than his offspring. The villain suffers from what I’d describe as “Diet Silurian Syndrome” in the sense that she’s doing what she’s doing for a similar reason that a Silurian might do what it does, but it’s never fully explained and comes across as completely unoriginal. Now, this is the bit where I usually nitpick about one of the actors being bad or give praise to a one or two of them for being outstanding. However, there really aren’t any particularly notable performances here – either for good or ill. Everybody does well with what they’ve been given. It’s good. Nobody really gives an outstanding turn, but it’s all just… good. Overall, I was a bit let down by Iron Bright. It had a great set up and the acting was solid, but that was let down by its second half and the lack of enjoyable and memorable characters. I’d pick it up for that really good first half, but I’m sad to once again say, that if I were you I’d skip this one. 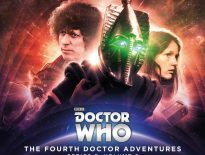 Go spend your money on a better Big Finish release like Serpent in the Silver Mask. Directed by John Ainsworth, Iron Bright is out now from Big Finish, priced £14.99 on CD or £12.99 as a download.